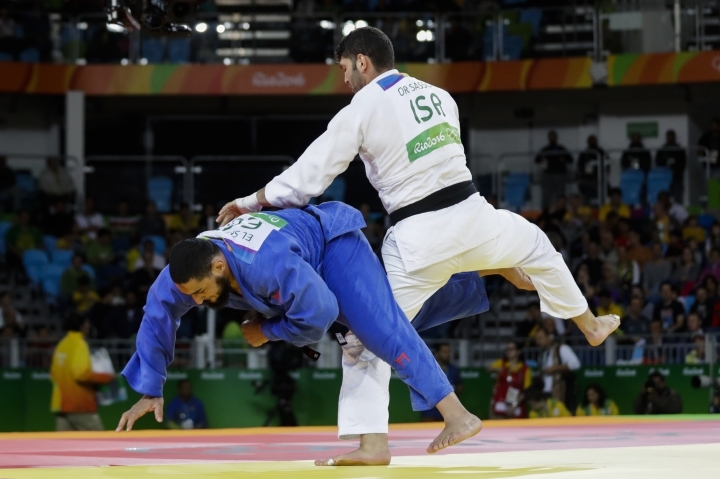 RIO DE JANEIRO — Middle Eastern politics spilled onto the judo mat Friday at the Rio de Janeiro Olympics when an Egyptian competitor refused to shake hands with the Israeli who beat him. "I knew he would do it, so it wasn't a surprise for me," he said. "But I cannot say anything. This was his decision." 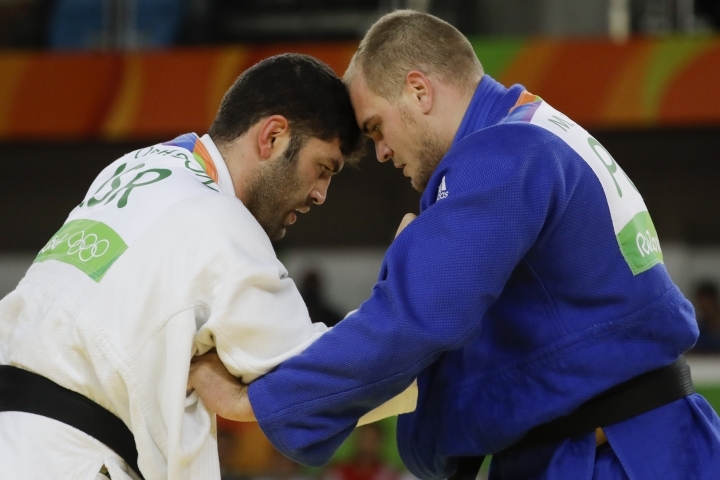 Having been taught that one of the first principles of judo was to respect one's opponent, Sasson said it was "a little bit weird" that El Shehaby declined to shake his hand, although the gesture didn't affect him. "For me, it doesn't matter because I'm a professional fighter," he said. Sasson, 25, described Friday as "a difficult day" after four years of preparation but that he was satisfied with the outcome. "Now I'm thinking only about my medal," he added. 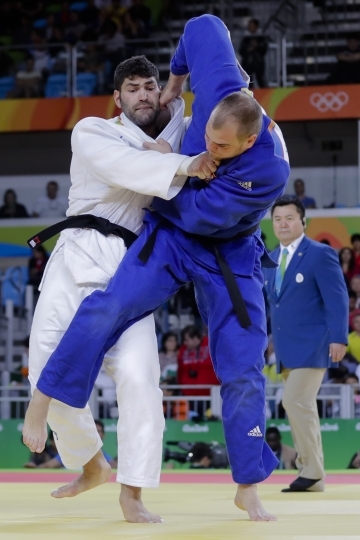 "Things happen in the heat of the moment that are not acceptable," IOC spokesman Mark Adams said. "We believe the Olympic movement should be about building bridges, not erecting walls. There's absolutely no excuse for it." 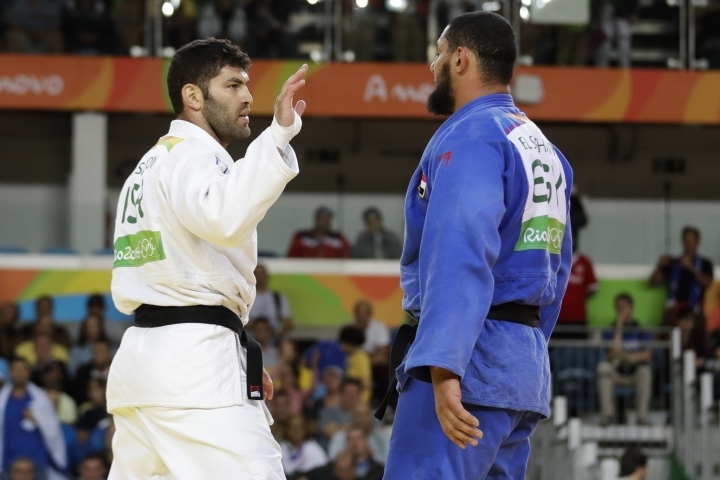 He acknowledged that sometimes athletes can't bring themselves to shake hands with their competitors. "It's a shame if that happens," Adams said. 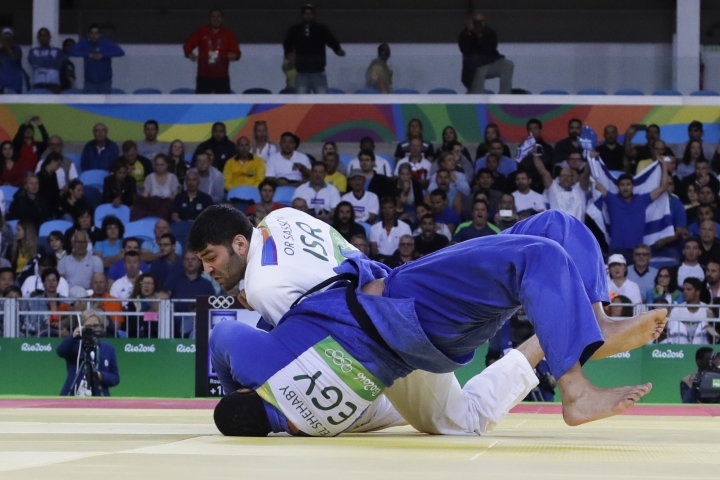 Even though El Shehaby ultimately bowed, "his attitude will be reviewed after the games to see if any further action should be taken," Messner said, adding that the ethics commission of judo's governing body would review the incident after the Olympics. Ofir Gendelman, Arabic language spokesman for the Israeli Prime Minister Benjamin Netanyahu, called the incident "shocking." 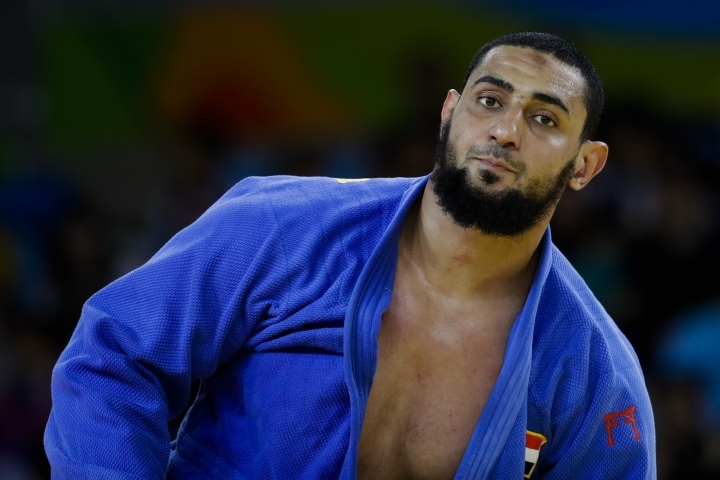 In a Twitter post, he said it "goes against the spirit of Rio 2016," writing in Arabic said that "sports are not the field for politics and extremism." 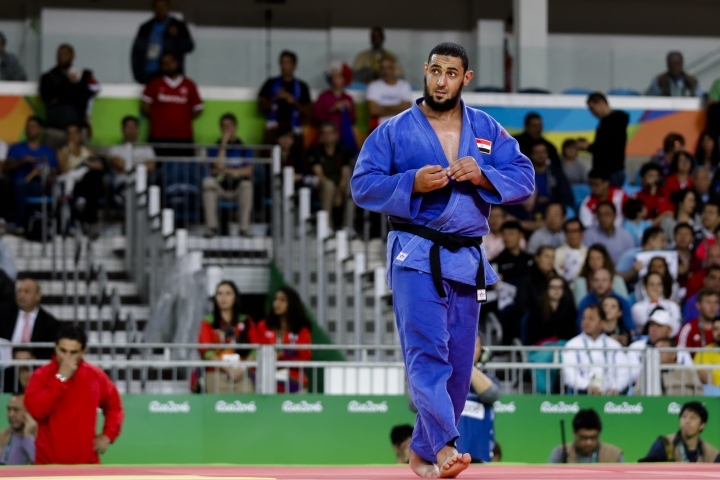 Egypt's Olympic Committee distanced itself from what El Shehaby did, saying he was "alerted before the match to abide by all the rules and to have sporting spirt during his match with the Israeli player." "What the player did after the match, and not shaking hands with his rival, is a personal action," the committee said in a statement. "My son, watch out. 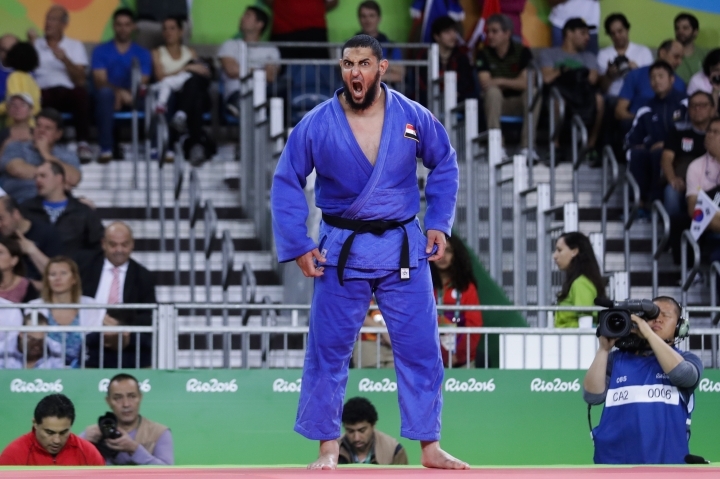 Don't be fooled, or fool yourself, thinking you will play with the Israeli athlete to defeat him and make Egypt happy," he said. "Egypt will cry; Egypt will be sad and you will be seen as a traitor and a normalizer in the eyes of your people." 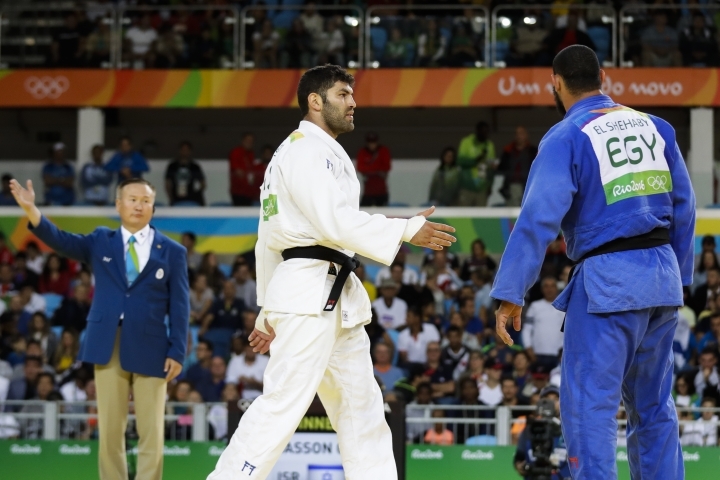 In a Facebook post, journalist Galal Nassar said: "As long as you agreed to play an Israeli champion in the Olympics, you should have exchanged the greeting." 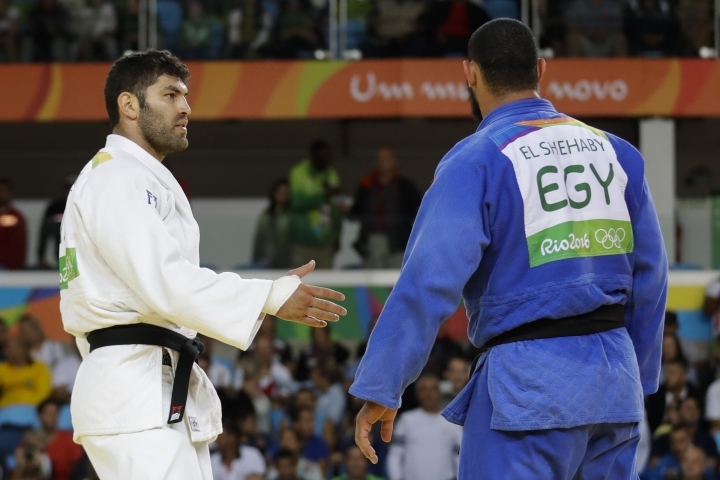 He wrote that El Shehaby's move backfired, and the Israeli athlete ended up with more sympathy. "We have lost in terms of sports and politics," Nassar said.